With Dan’s Thai language abilities he is able to assist the Thai staff on an ongoing basis by designing promotional materials and keeping the local website up to date. With his skills and giftedness, Dan is able to help the office run at a smoother level and get the Gospel out to more people in Chiang Mai and throughout Thailand. God has given Dan a vision of giving every person in Thailand the opportunity to say, “Yes” to Jesus. In 2010, God redirected Dan to join GRN to help see this vision become a reality. Dan came to Christ through the Navigators while in the Navy. After being discharged, he started attending a Christian college and felt the call to go abroad as a missionary. Under the leadership of his local church and God’s guidance, he started going to Thailand as a short-term missionary in 1989. In 1995, God provided a wonderful wife, Na. Na is a gifted teacher, linguist, and Sunday school curriculum writer who thrives when sharing the Word with children and training and equipping teachers. Together they have two sons, Daniel and Ty. 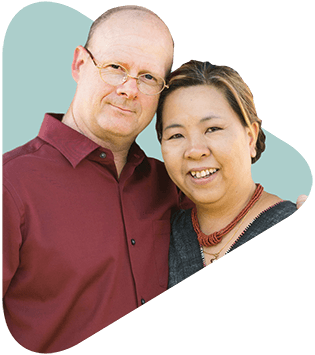 Dan and Na both received their master’s degrees in Bible in Southern California. These degrees along with other Thai cultural seminars serve as constant companions as they prepare lessons to help teach in their local Thai church.